When we plan a vacation in Europe, Paris, Barcelona, London, Rome, Amsterdam and other big old capital cities come to mind. The beaches on the Spanish coast, resorts in the Swiss Alps and magnificent numerous museums is what usually drives us to Europe. Sadly, we tend to forget about the never-ending list of beautiful yet overlooked cities scattered around the less visited parts of Europe. Come off the beaten track and open up the world you never knew existed. This small town located in the Swedish island of Gotland has survived several wars, numerous government changes and hundreds of pirate and enemy attacks. It is one of the oldest cities in Scandinavia, still standing and flourishing after more than a thousand years since its foundation. The city is surrounded with the best-preserved stone wall in Europe with 44 towers built in XII-XIV centuries. Walk down the cobbled streets, take a look at the quaint little houses and visit the 800-year-old church. 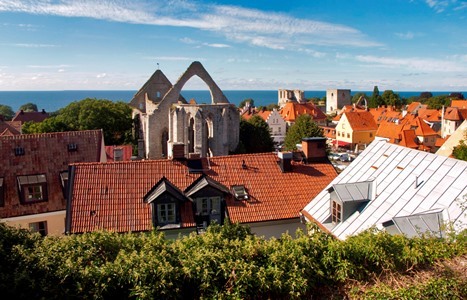 A trip to Visby won’t only become one of the best travel experiences of your life; it will also become your first real time-travel. Founded on an island formed by Smotrych River bend, Kamianets-Podilskiy has grown over a thousand of years into a magnificent city from the list of UNESCO World Heritage Sites. 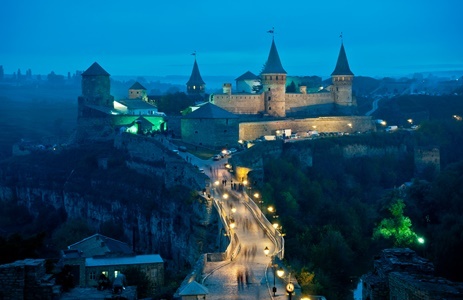 West and East have fought for Kamianets-Podilskiy for many centuries for a good reason. This diverse ancient city used to be a large trade and craft centre with one of the most spectacular fortresses, bastions and stone walls in Europe which still stand today. Unique exhibitions in towers and dungeons, as well as walks down the quaint cobbled streets will make you want to stay a little longer. Hidden gem of Côte d’Azur will warp you in the lovely atmosphere of warm tranquility and class. Whether you are a proud solo traveller or a romantic couple or even a big family, you will enjoy your stay in the birth town of Napoleon. Take a dip in the turquoise Mediterranean Sea, hide away from the summer sun in the shadow of gorgeous buildings and wonder the streets where famous diminutive dictator used to walk. Second largest city of Slovenia has only a third of its Ljubliana population and feels more like a big provincial town. It may not be dotted with popular landmarks, but the charm of its quaint buzzing streets is irresistible. Lively cafes and student life at the centre will always keep you entertained, while the Old Town will enchant you with its old patchy lanes. If you’ll crave for recreation, head to the hills Maribor Pohorje or wineyards of Mariborske and Slovenske Gorice nearby. 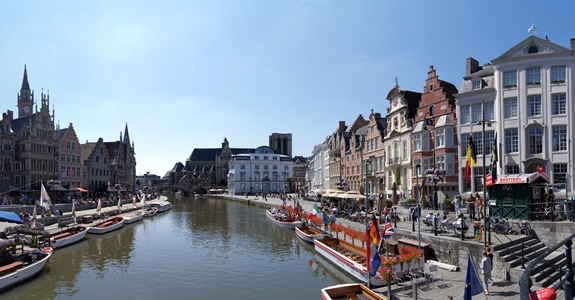 Located between two its more popular compatriots – Brussels and Bruges, Ghent combines the coziness of the small town and the vibrancy of the old lively city. One of the great discoveries you can find in Europe it will sweep you off your feet with it medieval canalside architecture and the variety of fascinating museums and quirky bars. 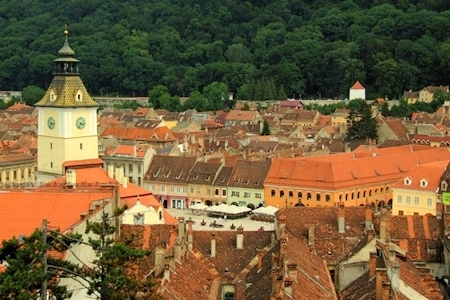 Located about 133 miles from Bucharest, Braşov is the heart of Transylvania. 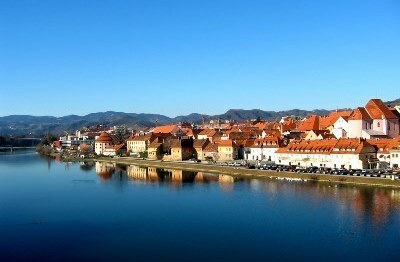 You will need at least a week to visit and explore its castles, countryside and mountains. This spectacular medieval city feels cozy and secure, as you are surrounded by the ancient stone wall and the emerald green hills. If you get too tired from numerous trips and tours around Braşov, you can always kick back and relax in one of many open-air cafés and bars. This dramatically beautiful coastal town, surrounded with 9th century stone walls is located between the Adriatic Sea and brooding Carpathian Mountains. At night you can regognize Kotor by the halo of light surrounding its antique rooftops. When you’re tired from swimming in the bay and basking under mediterrannean Sun, go and explore Kotor’s marbled lanes full of churches, restaurants and architectural wonders. This precious pearl can be found on the shore of Lake Geneva in the heart of a wine-growing region. In medieval centre you will be stunned by the splendor of grand Gothic cathedral and the quantity of historical museums. 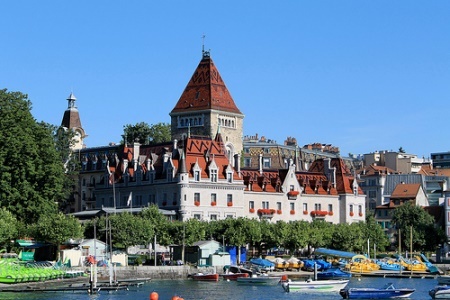 If you love art, prepare to live up to local busy arts schedule and if you’re into quiet recreation, stroll in the picturesque Ouchy village enveloped in the city. Not so far from famous Venice and popular Milan you can find the thriving cosmopolitan city of Vicenza A week may not be enough to explore all the museums, art galleries, churches, villas and piazzas in this old, yet often overlooked city. Here you have a chance to gaze at the masterpieces of Andrea Palladio who changed Vicenza by creating some of the most outstanding examples of the architecture of XVI century. 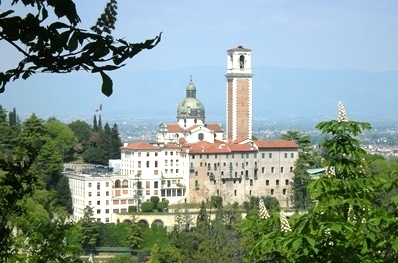 If you are heading to the capital of Veneto, get ready for one of the greatest sightseeing marathons of your life. 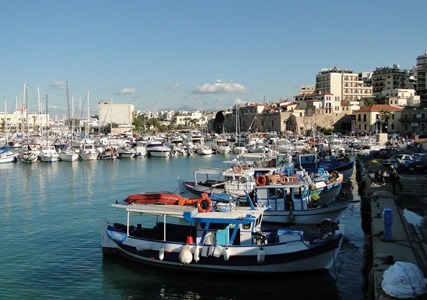 Built on the remains of once powerful Minoan civilization, Heraklion has grown into a big, densely populated modern city. Archeological Museum of Crete’s capital holds the collection of Minoan relics, legendary palace of Knossos makes myth of Minotaur come alive, and XV century Venetian wall and fortress still guard the city day and night. If you enjoy the liveliness of a city centre with boutiques, but also enjoy archeology and history, Heraklion is your perfect match. Popular travel destinations are popular for a reason, but by focusing on them, we often overlook amazing places – some of them are hidden away, some of them go unnoticed. But finding them gives us this unforgettable feeling of discovery, giving the journey a whole new meaning. No matter how far and hidden your travel destination is, protect yourself from any bad surprises by taking out travel insurance. It will let you enjoy your discovery with a complete peace of mind.